First Focus is proud to announce the release of Children’s Budget 2018, which captures and analyzes historical funding data and spending trends across a wide range of policy areas including child welfare, early childhood, education, health, housing, income support, nutrition, safety and training tracking federal investments in nearly 200 different programs. 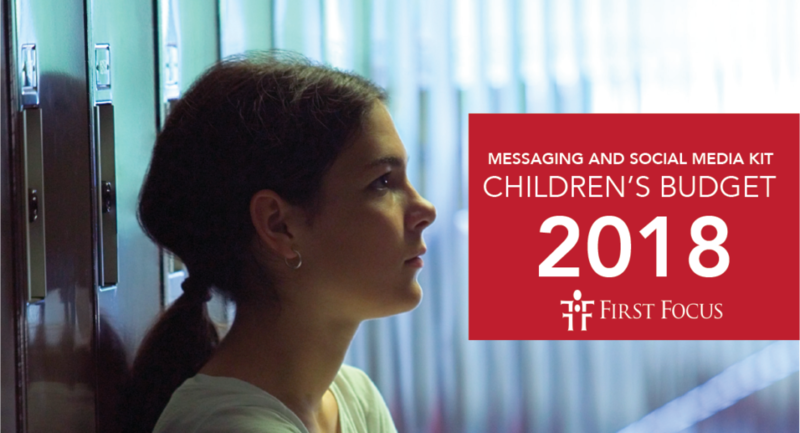 We invite you to join us in sharing both the new analysis in Children’s Budget 2018 and the Children’s Budget Summit — use our messaging and social media kit to spread the word. View our messaging and social media kit.